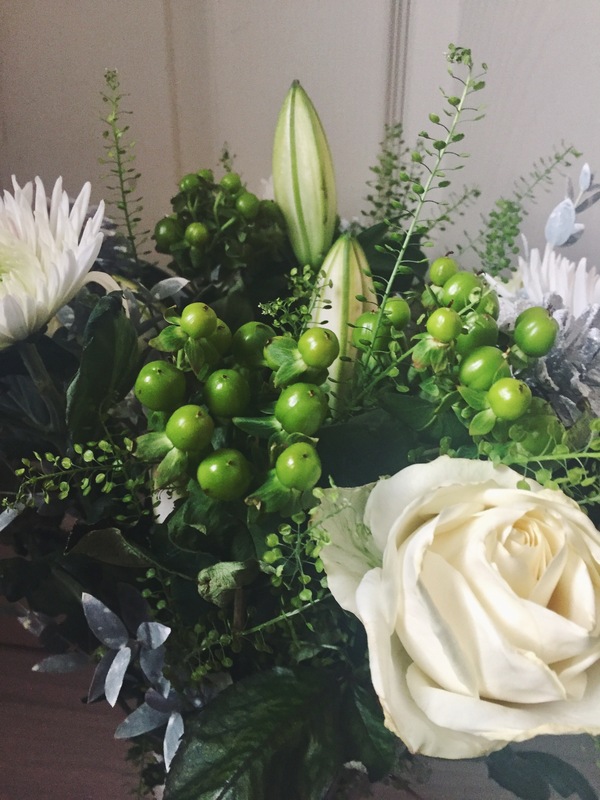 Blogmas Day 15- A Beautiful Blossoming Gifts Bouquet! I’m so excited for today’s post! 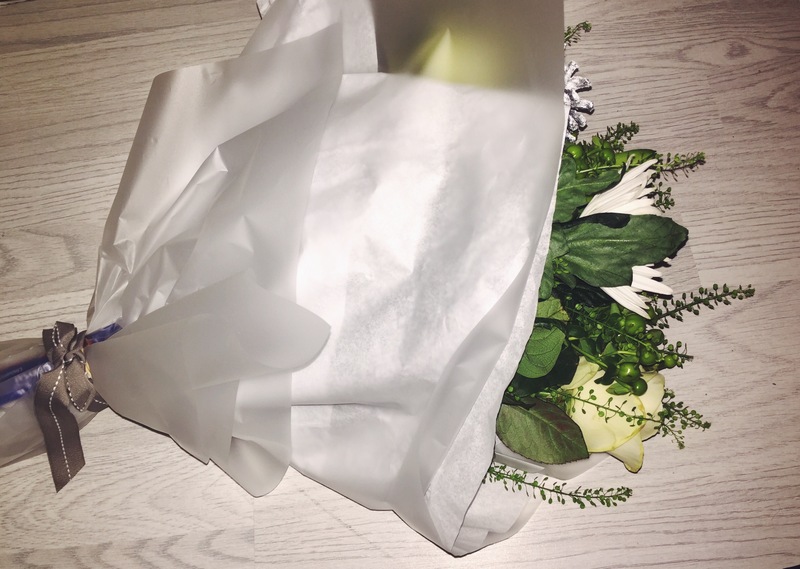 Recently I was contacted by Blossoming Gifts for the opportunity to review one of their bouquets. After having a dabble on their site, I just had to accept. Their bouquets are gorgeous! 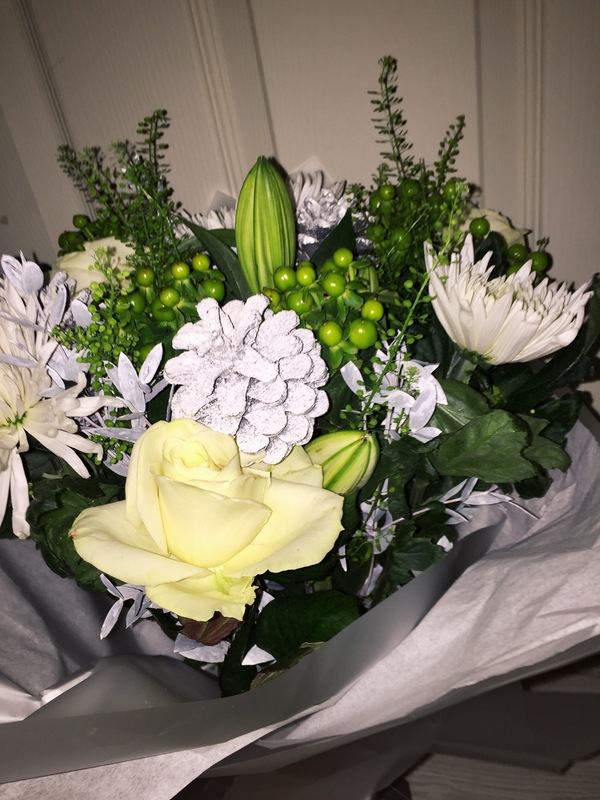 The bouquet they sent me was The Winter Wonderland Bouquet. This retails for £29.99. However, blossoming gifts have generously gifted 33% off all orders for my readers, all you need is the code at the bottom of this post! 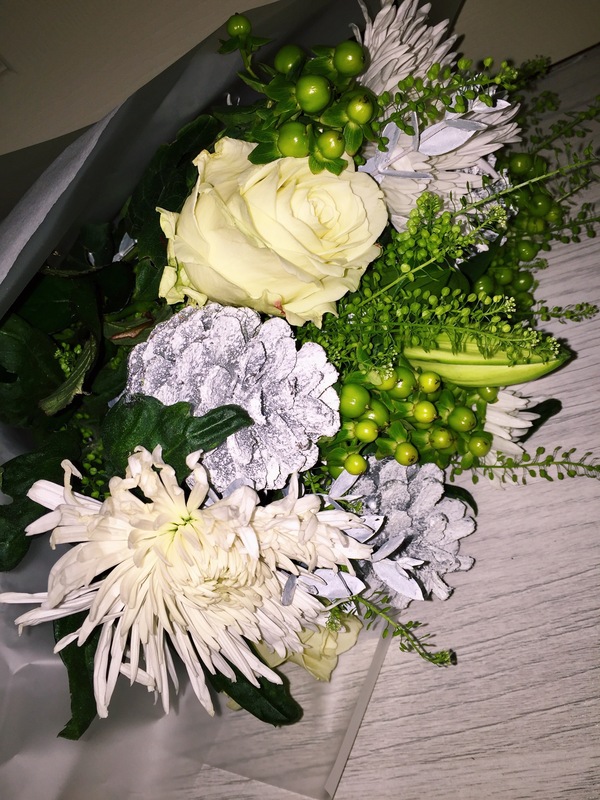 This is hands down the best company I have used for postal flowers, and I’ve tried a few! These, unlike other companies, come stood up in the box so they don’t get squashed or ruined on the journey. 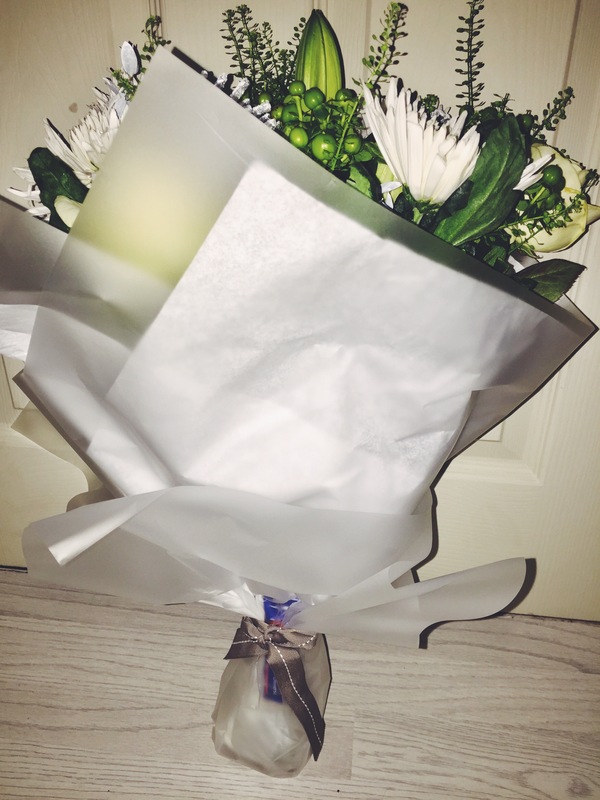 The actual bouquet smells amazing. I’m not gonna lie, I really struggled to photograph it because it just didn’t look as pretty as it does in real life no matter how much I tried. 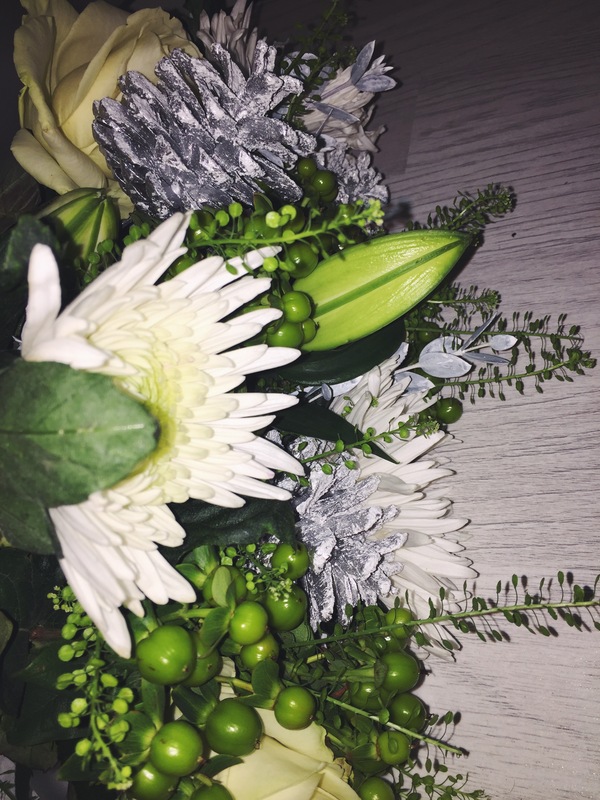 The silver and white theme makes this bouquet oh so Christmassy and my mother took great joy in displaying these in her kitchen! I will 100% definitely be using this company again, so thank you so much Blossoming Gifts! 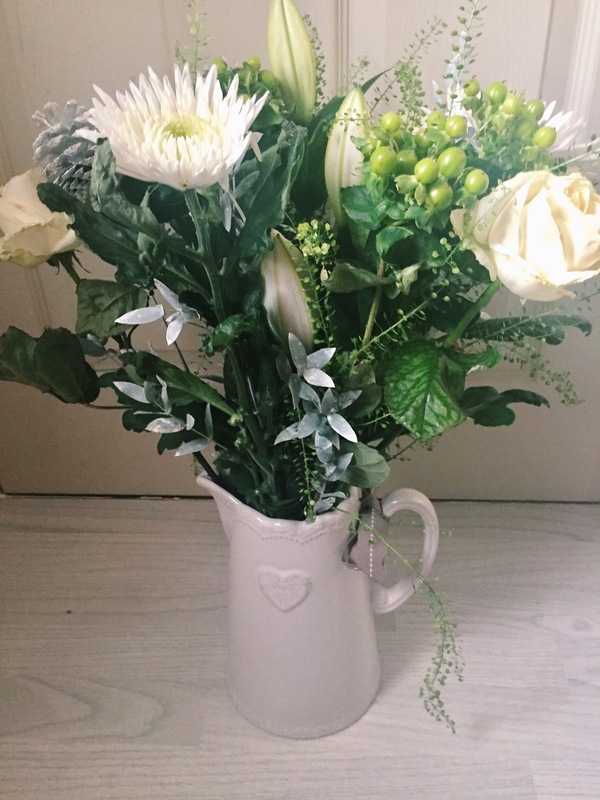 I hope you enjoyed today’s blogmas post, I would definitely recommend Blossoming Gifts for anyone who loves flowers, their bouquets are just gorgeous! Previous Post Blogmas Day 14- My Favourite Cities For Christmas Shopping!